First published in 1994, The Complete Guide to Finding the Birds of Australia was the first ever book of its type in Australia – a complete guide to locating every resident bird species in Australia, plus supplementary information on where to find rarities, migratory species and logistical information. 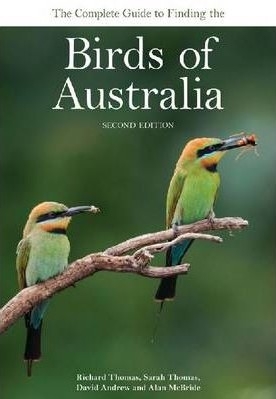 This fully revised second edition expands on the best-selling appeal of the first, describing the best-known sites for all of Australia’s endemic birds, plus vagrants and regular migrants such as seabirds and shorebirds. It covers all states and territories, and is the first guide to include all of Australia’s island and external territories. A comprehensive Bird Finder Guide details site information on all Australian bird species, and the authors provide valuable travel advice, including transport, climate and accommodation.